Now that SOPA day is over, we need something new to protest. I think my new stance is this: I really really need an invite to the new Wunderkit platform. I've been a huge fan of Wunderlist for a long time, before it was cool. I've even written blog posts about it here here and hey, even here. It's been one of my go-to productivity tools for the longest time. From watching the demo video below, it seems like it would be just about everything I've looked for in my quest for a productivity platform. It also seems like Wunderkit achieves what social productivity should look like. The integration with Facebook friends and being able to invite anyone to the platform and integrate them with different tasks and projects. What Would I Do With Wunderkit? I would definitely leverage it in my client work at Engauge, helping organize and juggle all the different digital projects I have going on at one time. In addition, I'd use it to help plan out my wife and I's one-year anniversary trip in August and help plan outings and events for our house church's weekend fun. The features of Wunderkit definitely wouldn't go to waste. So really, when you get down to it, this blog post is self-serving. I know I could send tweets and emails asking for earlier access but hey, a whole blog post couldn't hurt right? At least it's honest. 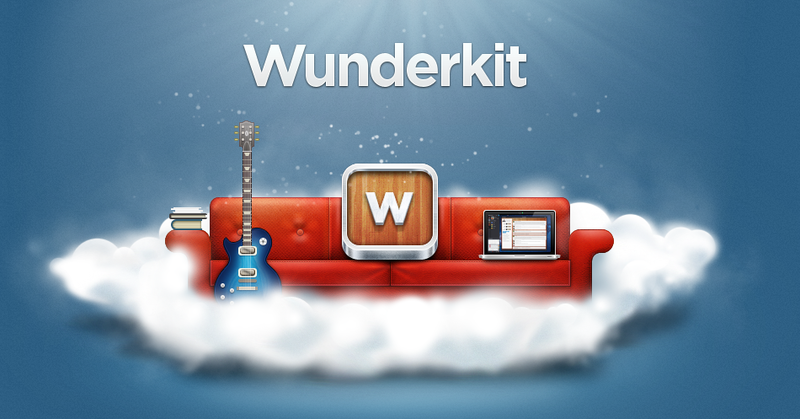 I love Wunderlist and can't wait to get my hands onto Wunderkit. I know @leesnewton is too. How about you all? Anyone been able to use it yet?